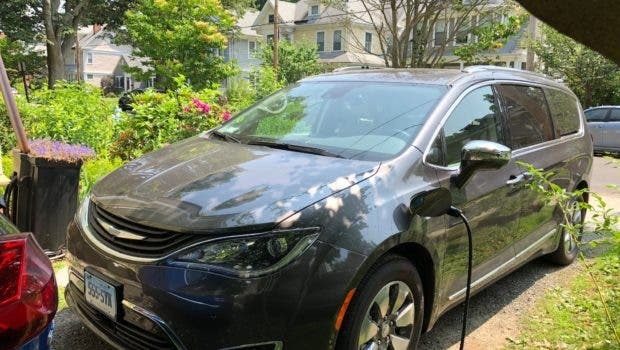 Chrysler is trying to keep it a secret, but the Chrysler Pacifica Hybrid is really a great plug-in hybrid electric vehicle (PHEV). Their motives for this move are confusing, as they have done a fantastic job and should be very proud of the plug-in vehicle they created. We have had ours since the middle of December 2017, and this review is based on our real-world experiences. Before this, we had the 2014 Chevy Volt for 3 years and we have had the 2017 Chevy Bolt since May 2017, so I consider us experienced EV owners. Additionally, we had the Toyota Siena AWD for many years and our experiences with all of these vehicles frame our view. Let’s talk cost first, because let’s face it, money is a big issue with EVs. Would we want a Tesla Model X? Sure, but we cannot afford the $100K+ price tag — and this is the funny part, since we both have great jobs with nice salaries, including the fact that I am an anesthesiologist. So, who can afford an X and still be able to function as a family of 4? 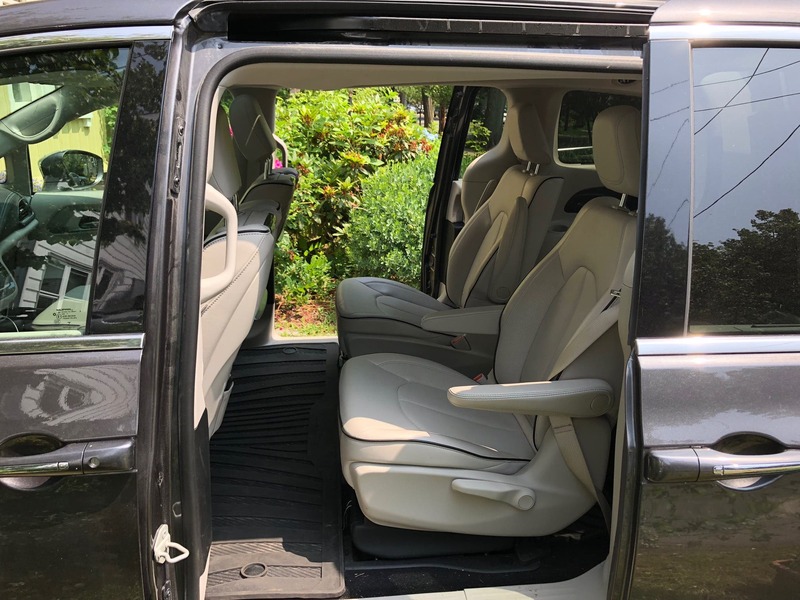 That being said, we still need a vehicle that seats 6–7 passengers, as we often ferry our 2 kids, their friends or my parents, and us for skiing, sports meets, and vacations. 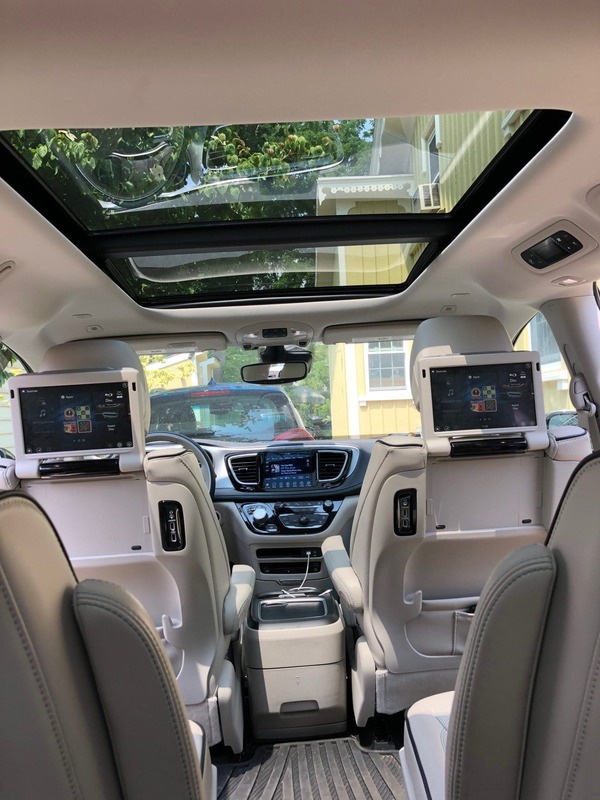 We opted for the 2018 Limited Chrysler Pacifica Hybrid model, and after all was said and done, it came to $43K. We got the full $7,500 federal tax credit and the $500 rebate from the state of Connecticut, bringing the cost to $35K. One could compare this to the cost of the standard ICE Pacifica with a starting price of around $27K, but we do not want an ICE-only vehicle — we want an EV*. Our 10- and 13-year-old kids helped us out and did the math, concluding that we can get two Chevy Bolts and one Chrysler Pacifica Hybrid for the cost of one Tesla X. “Dab and drop the mic. Math done!” said Finn and Ingrid. As someone who just said that I am not a car person, I find that the Pacifica looks fine on the outside. There is nothing screaming “weird EV car look” at me — it is just a minivan. The driver controls are modifiable and intuitive even for those, like us, that have never had a Chrysler before. (Did Chrysler not notice that they were drawing new customers to the brand with this vehicle?) The driver’s 7″ screen can give efficacy training or show your tire pressures along with MPG and all of the other now expected features. The center 8.4-inch touchscreen display is very user friendly and works with Apple Car Play and Android Auto so the navigation system is your phone map system and therefore, does not have a learning curve associated with using it. The surround camera feature is fantastic for parking this large vehicle in tight city spaces or on the crazy hill driveways of our friends. The 20-speaker Harman Kardon sound system is fantastic. The dual but separate 10.1-inch HD touchscreen entertainment systems for the second row have been more useful than I thought they would be. There have been whole hours of driving occupied in family bliss while playing a group game of hangman or spot it, and my son using the math flash cards without being asked. 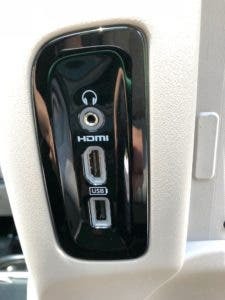 The Blu-ray system is a bit complicated, but with the headphone jacks can also provide family peace for the long hauls. I have yet to figure out how to stream video to the screens in back, but I will crack that sucker sometime. The lighting in the second and third row is excellent for reading while not disturbing the driver’s night vision. We have opted not to pay for the optional 4G Wi-Fi system since it costs ~12$ per month, we all have phones with hotspots already, and I am not convinced that the speed will make that much of a difference, but that may change. (Now I am wondering when they will increase that. To get many of the full state rebates, the battery needs to be 18kwh or more. I guess they pegged it to the Volt?). As I am an MD and not an engineer, I defer to those who are. Please see this site for the best in-depth discussion of the drivetrain and how it works, planetary gears and all. We have had a plug-in vehicle in our driveway since 2014, when we got the Chevy Volt and had the foresight to get a 25-foot cable. 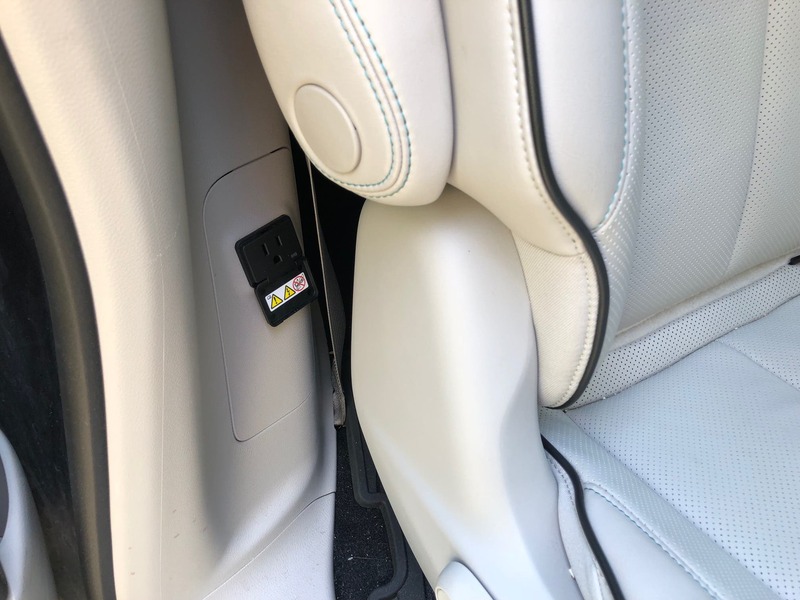 Daily charging at home is very easy from any position in the driveway. I say daily charging, but it is really more like every other day, as we only drive 10–15 miles per day and two days of that is covered by the 33-mile range of the battery. For city driving with temperatures above 45°F/8°C, the real-world battery range is more like 40 miles. Driving the Pacifica feels like driving a silent, fluffy, and fast cloud. This is a pleasant sensation, but I understand that those who “like to feel the road” may not enjoy this ride, and they should look elsewhere. However, for those of us who are driving a van full of hyped up pre–tennis match kids, this sense of fluffy peace may be nirvana. If you punch the accelerator hard, the ICE will come on to assist, but you have to be really rough to set it off. On the highway, the van has great pickup and cruises easily with the electric motor only until the battery is empty. Then the ICE will come on without you even noticing, except that your MPG will go down a bit. We are averaging about 47.3 MPG currently. 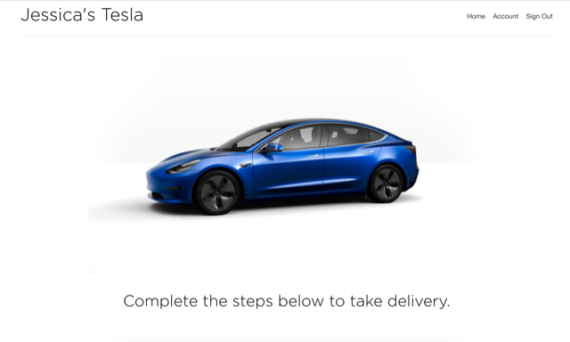 That is with a total of 7,209 miles driven — 2,973 electric and 4,236 ICE, as per the dash computer. This total includes the reduction in efficiency caused by driving with studded Hakkapeliitta 8 snow tires all winter (see below). Additionally, we had 2 weeks of hard driving in New Hampshire this Christmas, with temperatures averaging 3°F/-18°C while we traveled “over the hills and through the woods to grandmother’s house” and the ski slope. That means that our average MPG is on the rise with spring, summer, and soon the fall, but is due to drop in the winter again. This was the same for our Volt. We have a Chevy Bolt as our second car now, and we all fit in it very nicely even with multiple suitcases. That being said, it is very difficult to use the Bolt for big road trips. I (yes, I take full responsibility for this one) insisted that we all drive from New Haven, CT, to Kittanning, PA, which is ~850 miles one way, for a work event / family outing. I responsibly reserved bed and breakfast each of the three nights with the Select Registry group since it has level II chargers as part of its service. However, for the needed top-ups to make the trip, finding a CCS Level III charger in northwestern PA was impossible. Due to flooding on the highway and secondary roads, we ended up on back roads with our battery close to empty and watching with envy as Amish horse and buggy passed us. Even when we got to a level III charger, it took an hour for the 50 kW charge speed to make a big dent in the battery level. So, after that, my very kind, reasonable, and understanding husband has us use the Pacifica for “the big trips into the RED states.” Needless to say, when he goes to pick our kids up from summer camp in South Carolina, he will take the Pacifica and not the Bolt. This comes with the compromise that I will book hotels with level II chargers so he will at least get the first 33 miles electric to help my precious MPGe. 23 years of marriage and no one is dead yet. With all of that, please note that as soon as our Tesla Model 3 is built, we are swapping out our much loved Bolt, all due to the rapid charging issues. You can extend the electric range by putting the car in L. This does not affect the gearing, but increases the regenerative braking. We do the same with our Chevy Bolt and that works wonders! 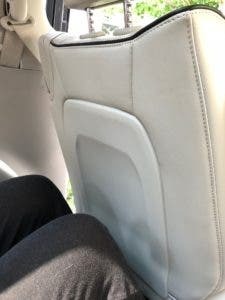 There is a perfect spot for my lunch box on the floor between the driver and passenger, which has a deep well so nothing rolls around when I take a fast turn. The middle row seats are not “Stow and Go,” as that is where the battery sits. The Oil Change indicator seems to be tied to the total millage. When we hit 5,000 miles total, it turned on, completely disregarding the fact that there were only 3,500 ICE miles. The Chevy Volt got that right and measured the oil life in terms of the ICE use only. Now, let’s address the biggest issues we had with the car, THE SNOW and THE COLD!!! To be fair, the Chrysler Pacifica Hybrid is a FWD car and why I expected the vehicle to make it up 4 miles of dirt road during the freezing rain turned to snowstorm that occurred before Christmas this year is a bit questionable. Maybe because our last minivan was the AWD Toyota Siena and it could do that sort of a thing. However, we got stuck and I had to suffer the embarrassment of my parents picking us up in their Subaru Forester. The next day, we bought studded Hakkapeliitta 8 snow tires. The Finns know snow and cold — these are the best!! Then the Pacifica, while still not a FWD vehicle, did get up and down that (beep) hill and to the ski slope as required! These tires took 10% off the battery range too. Make sure that the EVSE (charging cable) is long enough to reach your parking spot in the winter. If your snow banks are between you and the source, get a longer cable that can reach over the snow drifts. That being said, always get the longest cable you can for all EVs. You never regret having too much length, but are always sad when the cable will not reach. At any temperature below ~40°F/4°C, the engine will come on to condition the battery to improve battery efficiency. That may seem like a clever engineering solution, but it stinks! When I drive the 3 miles to work I do not care that my range on a cold battery sinks to 20 miles. I am willing to take that hit knowing that I will just charge more often and would trade that cost any day over the fumes coming out of the tailpipe. 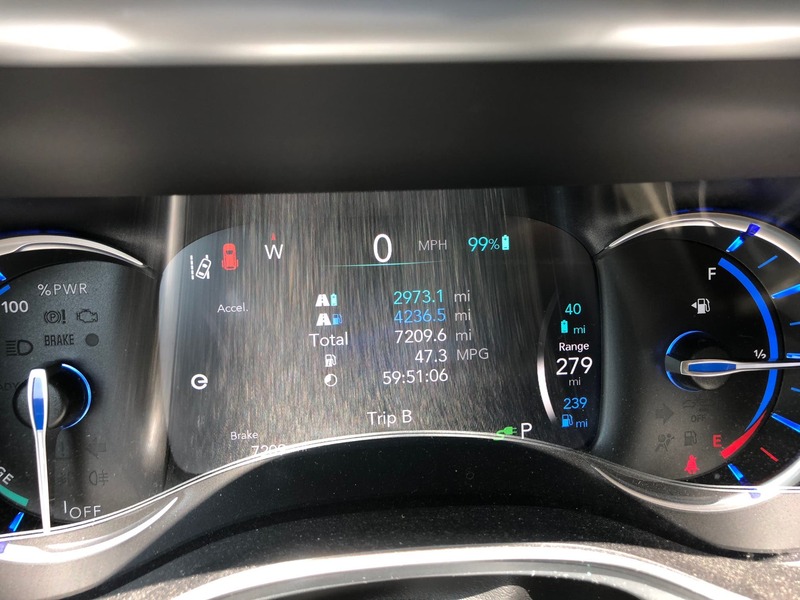 This was the same with the Chevy Volt and, like that car, I have tried to turn the car on while it is plugged in to defeat this “feature,” but to no avail, and I am driven crazy watching my average MPG plummet! Chrysler, please let me turn this cold battery conditioning feature off!!!! 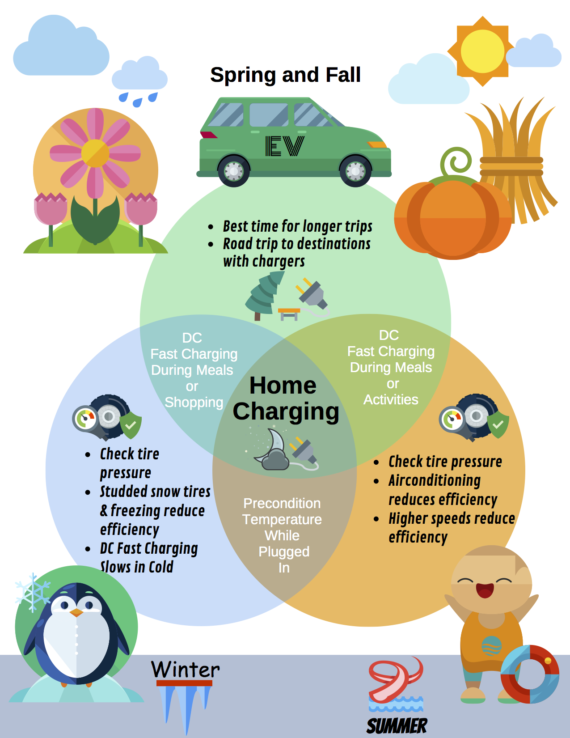 You can charge outside in all the time with no issues rain, shine or snow. However, if it is freezing rain or sleet, this is a bad plan. The water gets into the handle mechanism of the charger and then freezes solid. The solution is running an extension cord out of the house with a hair dryer to melt the ice, but your neighbors will laugh at you. (They always thought this EV thing was weird anyway. “Now what is that crazy lady doing with the hair dryer outside?”) So, to avoid embarrassment, do not charge outside when freezing rain is predicted. This goes for all EVs. 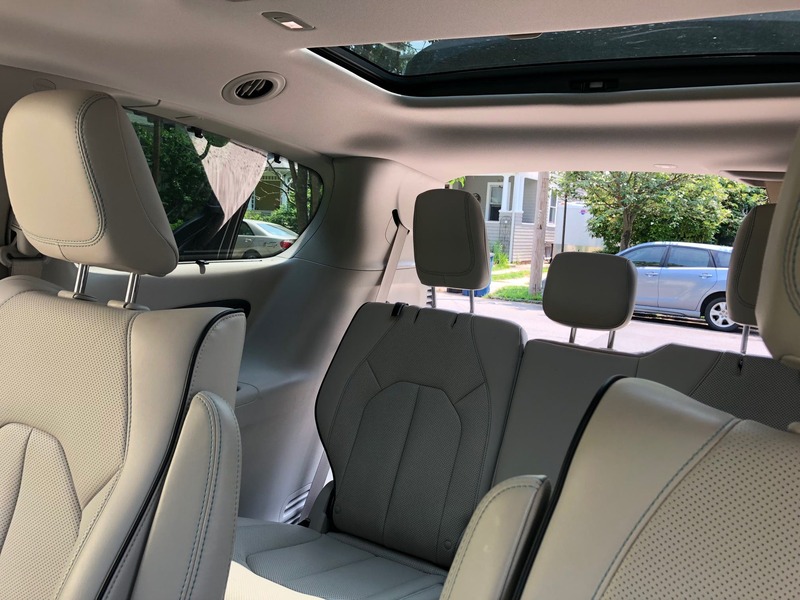 The Chrysler Pacifica Hybrid fits our needs of seating 6 to 7 humans in comfort at the best price point with the best-case scenario for carbon footprint per passenger. I hope that Chrysler, like Chevy, will increase the battery size to cover 50+ miles, as that was the sweet spot with the Volt. 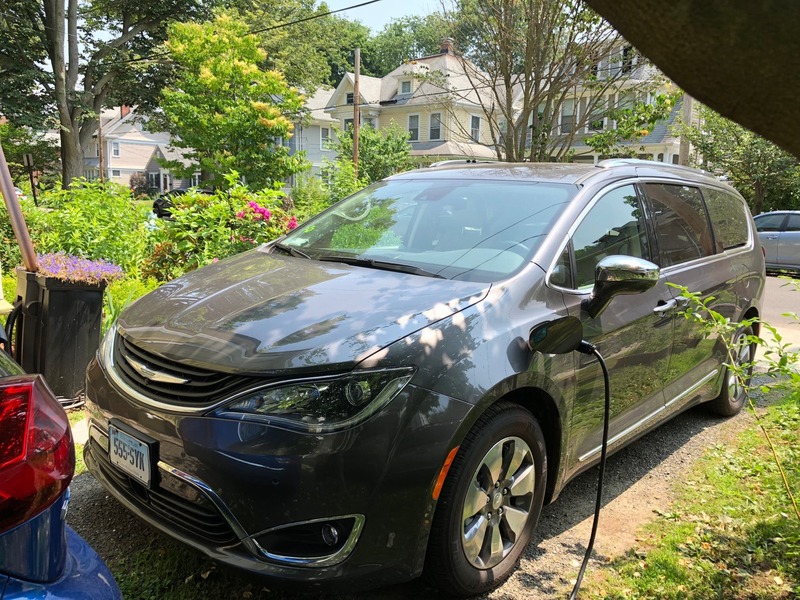 However, until there is a fully electric vehicle with really fast charging system (>100 kW) and a battery range of >300 miles that seats 6–7 while costing under $50K, I would go with the Chrysler Pacifica Hybrid. About the Author: Jessica Feinleib MD/PhD has a day job as an assistant professor of Anesthesiology at the Yale School of Medicine as well as staff anesthesiologist for the VA in CT. With the VA she has developed an immersive video game based educational system that integrates cognitive behavior with team and biomechanical skills for emergent airway management. 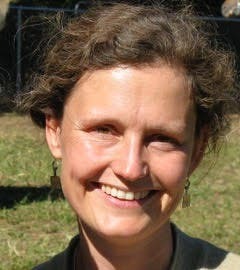 She has written several text book chapters and papers on anesthesiology and airway management. 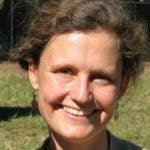 She is actively involved with medical education through simulation nationally in the VA, academia and the private sector. Jessica is also a wife and mother who applies high tech to her passion for making this planet as healthy as possible for all now and in the future. Jessica Feinleib Jessica Feinleib MD/PhD has a day job as an assistant professor of Anesthesiology at the Yale School of Medicine as well as staff anesthesiologist for the VA in CT. With the VA, she has developed an immersive video game–based educational system that integrates cognitive behavior with team and biomechanical skills for emergent airway management. She has written several text book chapters and papers on anesthesiology and airway management. She is actively involved with medical education through simulation nationally in the VA, academia, and the private sector. Jessica is also a wife and mother who applies high tech to her passion for making this planet as healthy as possible for all now and in the future.